Okay you may have already seen this across all of my social media channels but I just couldn't wait to show it to you all. I am literally in love with this personalised picture, the way it has turned is amazing and I've been dying with excitement to get it up on here for you all to see! I Just Love It are a fun and unique site full of amazing and creative things for you to have personalised. When the guys at IJLI asked if I would like to pick something to review I was over the moon and although it probably took me a good day to decide on just one product I think I made a fantastic choice with it. This is the framed personalised heart map - a gorgeous and chic wall art print perfect for any home. Each map is individually made based on an address of your choice. As you can see I gave my home address which is in Ryde on the Isle Of Wight and it has come out perfectly. At first I asked if it was possible to have Disneyworld but right now they are only doing address' from the UK (totally understandable). The map has completely captured one of my favourite places in the world - I have lived here all my life and truly love it - it is home and probably the only place I will ever count as my home. These framed pictures are such an incredible gift idea (especially with Christmas coming up!) 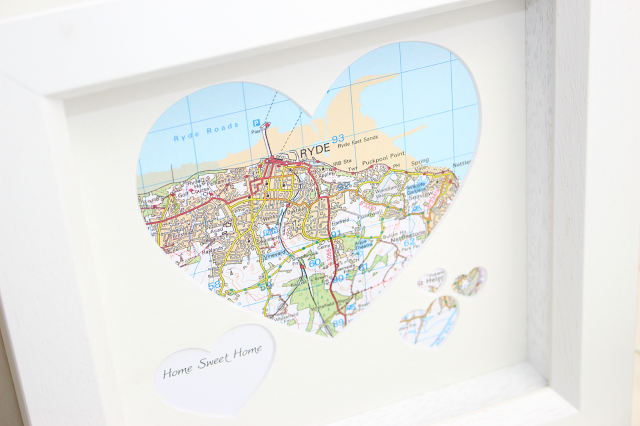 A first home, an engagement, a wedding day - you can pick any UK address plus a short message to have alongside it - as you can see mine says 'Home Sweet Home'. You get the choice of a white or mahogany frame and it measures approx. 24cmx24cm. The pieces are priced at £49.99 - which you may think is a little expensive but you can pay upto £20 or so for a decent frame nowadays plus you can really tell how much time and effort has gone into it....so in my opinion it's worth every penny! To find out more about the frames, to see different styles or to go and ahead and order on yourself head on over to their website - here! I love this idea and I definitely have it pinned on my 'things to try' board. It came out lovely! Such a cute idea. 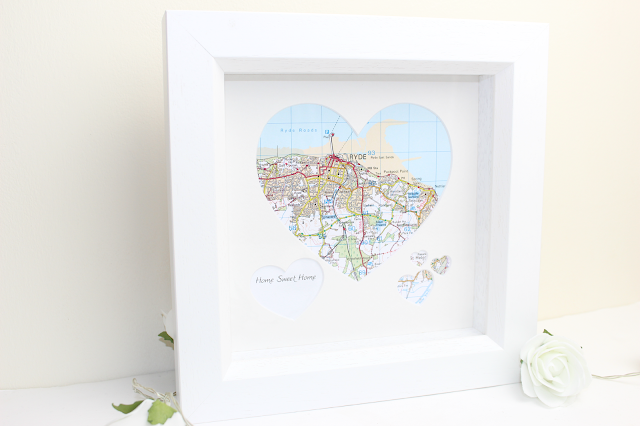 Would also make a fab wedding present - the location being the wedding location of course! I love this so much! It would be perfect for an incredibly special gift at any time of the year.